Advisor Sreedharan says Lucknow Metro will be operational from Oct 2017; Akhilesh has promised it before Assembly polls. IN WHAT could belie Chief Minister Akhilesh Yadav’s promise to start the Lucknow Metro before the Assembly polls in 2017, Lucknow Metro Rail Corporation’s (LMRC) chief advisor E Sreedharan Tuesday said the metro will begin operations three years from the date of construction, or around October 2017, well after the Assembly polls. “I wish to express my satisfaction that at our current rate, we will be able to complete the first section of Lucknow metro and make it operational within three years from the month of beginning of construction; the construction has started this month,” Sreedharan said in a press conference Tuesday. “In 24 months, we will hopefully complete the civil works and the trials will start by December 2016,” he said. Hence, the metro is unlikely to become operational by the time UP goes to polls in 2017, which will take place in the months of February and March if they are held as per schedule. In the meantime, the state government led by the CM himself is leaving no stone unturned to market its achievements and in many of his public addresses, the CM has repeatedly cited Lucknow metro among the government’s top achievements; in Lucknow, there are hoardings at many places with CM’s photo claiming that Lucknow metro will be operational by December 2016. 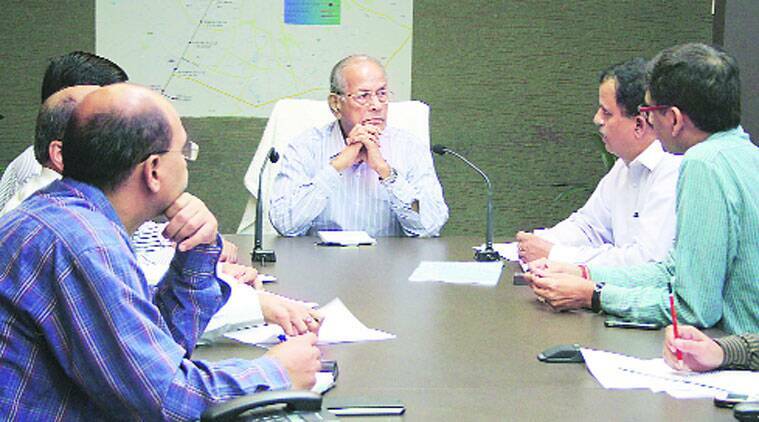 Reacting to UP Governor’s apprehensions whether Lucknow metro will begin operations as per its schedule, Sreedharan said that “Mumbai took time because it was a different private organisation (which was responsible for construction); here we have a vast experience of Delhi metro,” he said. UP governor Ram Naik had cited the delay in Mumbai metro behind his apprehensions over Lucknow metro.